Help us bring Keiosha home! UPDATE August 20, 2012: We have set up an account with Community Foundation of Acadiana to accept donations that will help establish a REWARD FUND for the safe return of Keiosha. 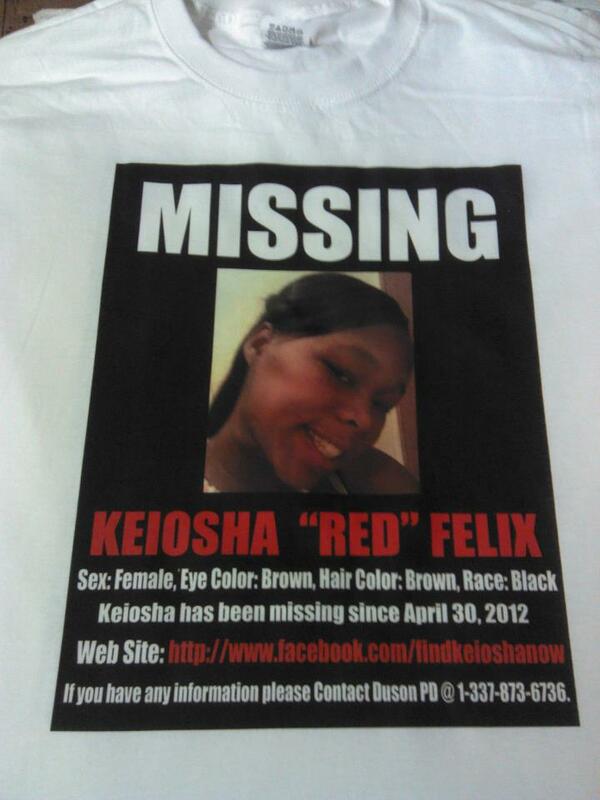 Please visit this link to donate to the Find Keiosha Reward Fund. The Lafayette Parish Sheriff's Office is asking for the public's assistance indentifying the person pictured in the photos. 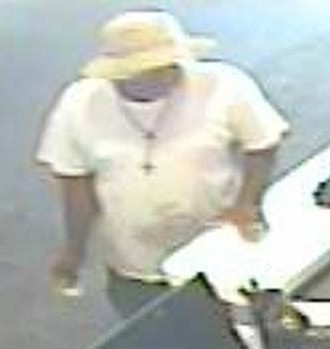 The photos were taken from an AT&T store in Lafayette. The woman in the photo is NOT Keiosha. 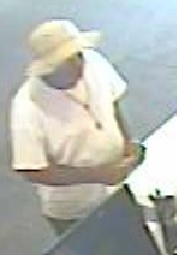 This man may have information that may help in the Keiosha Felix investigation. This person is not a suspect in this case. 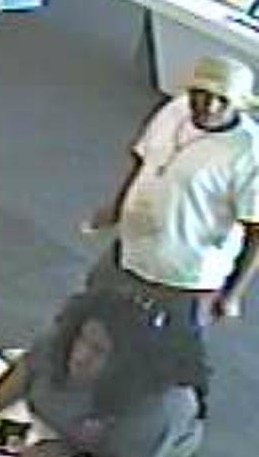 The man has a brown skin tone 5'7" to 5'9" tall, stocky build, wearing white tee-shirt and a rosary type cross hanging to the mid-chest area. if you recognize this person. We are planning a march to City Hall in Duson on September 11, 2012 in support of Lt. Credeur. The family is in support of Lt. Credeur and on that day the city council will vote whether or not to fire him from the police dept. He has done all that he can day and night to find Keiosha and if we allow this to happen that would be a great injustice. We will keep you informed as the day draws near there is power in numbers and we have to fight for him because he has done the same in this case for Keiosha.